We offer Hydraulic Komatsu Excavator Repair Services that is accepted in the market for their timely implementation and low rate. Our services are completed by industry known experts who use only optimum quality component that is procured from reliable retailers of market. Our offered services are obtainable in the market at low prices. To supply the ever rising needs of our customers, we are occupied in offering a wide range of JCB Repairing Services & bushing. We are amongst the most reputed names in the industry, offering Earth Moving Machines Repairing Service. 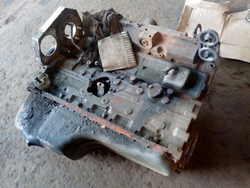 By understanding the demands of our patrons in the best possible way, we are increasingly engrossed in offering 6WG1 Excavator Engine Repairing Service to our clients. Delivered in tune with the standards defined by the industry, these services are enormously in demand. Due to their cost effectiveness, these provided services are hugely treasured. 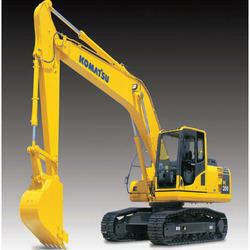 With our rich domain expertise, we are providing Excavator Repairing Service. These services are provided by our skilled professionals as per international quality standards. We are dependable for providing prompt and flexible solutions. Moreover, we provide customized solutions to meet the requirements of our valued clients at minimal cost.